Contractor for renovation or improvement? Great! We are what you are looking for. 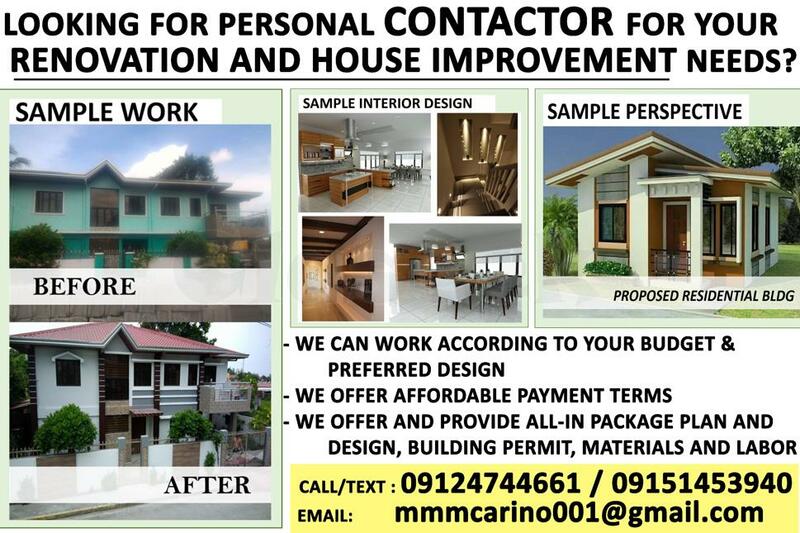 Affordable Contractor for interior renovation of condominiums, townhouses and house & lots. We also renovate offices & commercial establishments. Please Call/Text us at (0915) 1453940 or (0912) 4744661 or email us at [email protected] for inquiries.